The house is a separate building within the estate. 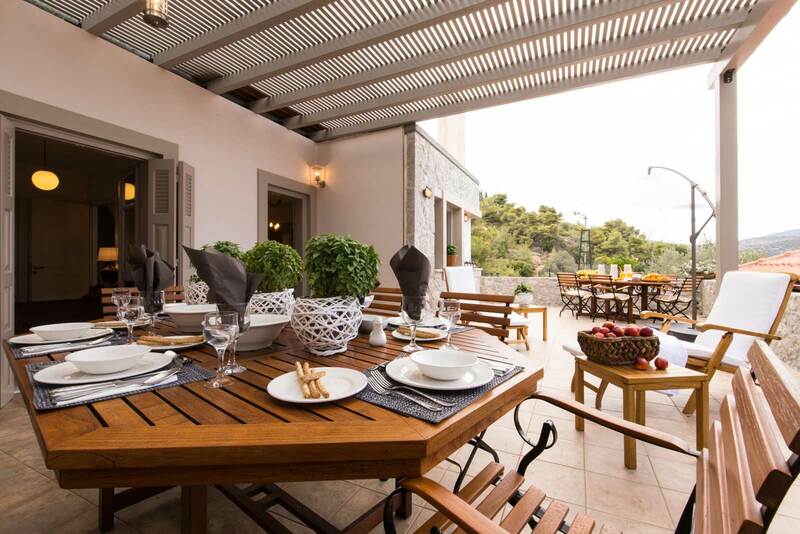 It is a traditional stone-built house perched on a hillside, with breathtaking view towards the Saronic Gulf and its islands. As a detached building, it has plenty of sunlight. The residence has three bedrooms, two bathrooms, a large kitchen and a living room, as well as amazing outdoor spaces. The large semi-covered patio offers an unobstructed view. It boasts two large tables and sunbeds, and is ideal for eating and relaxing. A balcony with a smaller table and a spectacular view is the ideal place to enjoy a coffee or a drink. The furniture combines comfort and style, while the house is equipped with all the latest household appliances. It is ideal for families or groups of friends who want to enjoy their holidays surrounded by nature, in a relaxing place that offers all the comforts of home.